Healthy, affordable, and accessible dining options your stomach and wallet will love. After arriving at Butler University as a clueless, and car-less First-Year student in August, I felt trapped. Not just in the sense that I was trapped on campus, but also in the sense that I was simply going to be stuck eating dining hall food every day for the next eight months. Once I finally got settled, I started venturing off-campus via Uber, or by the glorified golf carts which we call "Blue Indy's" here. I found that my pre-conceived notion of only eating disgusting food for months was not right. Just outside of Butler's campus, there are more than just a handful of delicious, healthy, and fairly-affordable places to eat. The first place I tried was Broad Ripple Bagel Deli, right next to the Starbucks and across from the Jimmy John's on Broad Ripple Ave. Here, you walk in and see hundreds of possible sandwich combinations, which will be heated and served to you on a delicious, fresh-baked bagel. Not only did I find this little bagel shop to be affordable and easily accessible (being just five minutes from campus), but also conducive to many types of diets. As I have mentioned in previous articles, I am a vegetarian. It can be extremely hard to spice up my meals in the dining halls, due to the limited variety of foods… many of them being meat-centered meals. 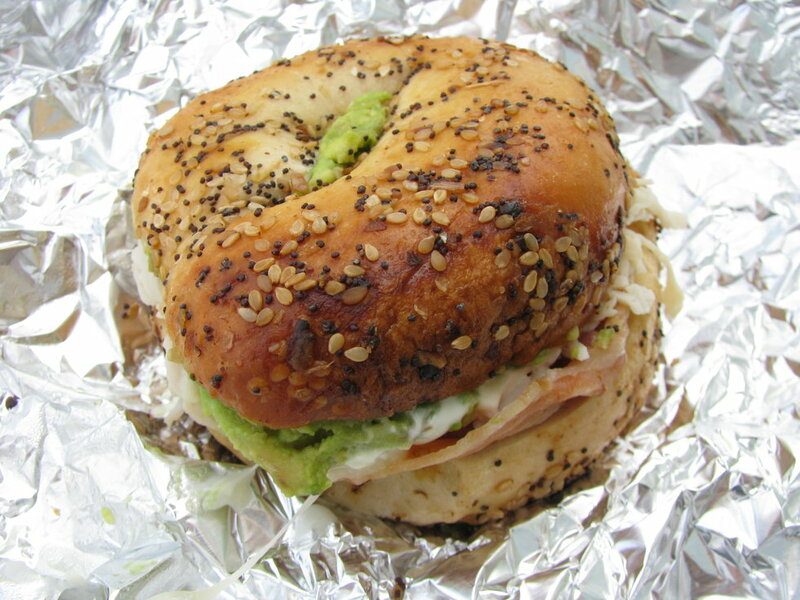 When I got to the Bagel Deli, I immediately noticed the “Grateful Deggie” bagel. Being a fan of the Dead, I had to try this bagel. It was specially marked “Vegetarian” and was served with veggie cream cheese, banana peppers, cheddar cheese, bell peppers, and onions. Enough said, this tiny bagel shop was a pleasant surprise, and definitely somewhere I will be returning to many, many times. Another favorite of mine is The Garden Table, also in Broad Ripple, but located on E Westfield Blvd. A frequently chosen brunch spot for people who want to feel good about what they are eating, The Garden Table offers delicious and healthy options for breakfast and lunch. 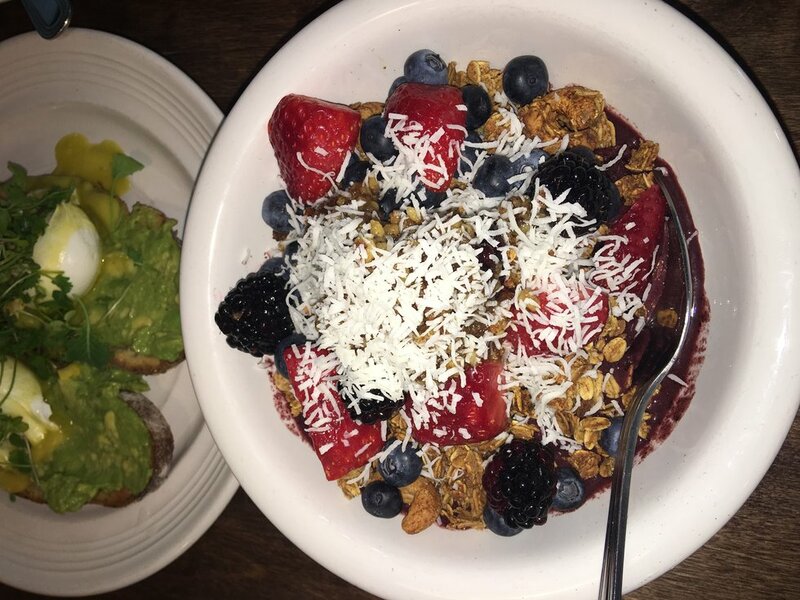 Every time I go, I just HAVE to get the Acai Bowl: a thick purple berry smoothie in a bowl, topped with granola, fresh fruit, and coconut shavings. They are also known for serving up delicious pressed juices, that you’re sure to love. Not to mention, the aesthetic of this little brunch place is so inviting…you will never want to leave! Just next door to Garden Table is Nicey; the cutest popsicle shop I’ve seen. With flavors changing frequently, you can bet on acquiring a new “favorite” every time you visit. Not only are the flavors unique, but also offered in vegan options! Who says you can’t treat yourself on a vegan diet?! If you take a walk down the Monon trail behind Nicey, you will run into my next favorite… Public Greens Urban Kitchen. You walk in, and immediately see all of the different sides and entrees being showcased right in front of you… because you can see everything happening in the kitchen! 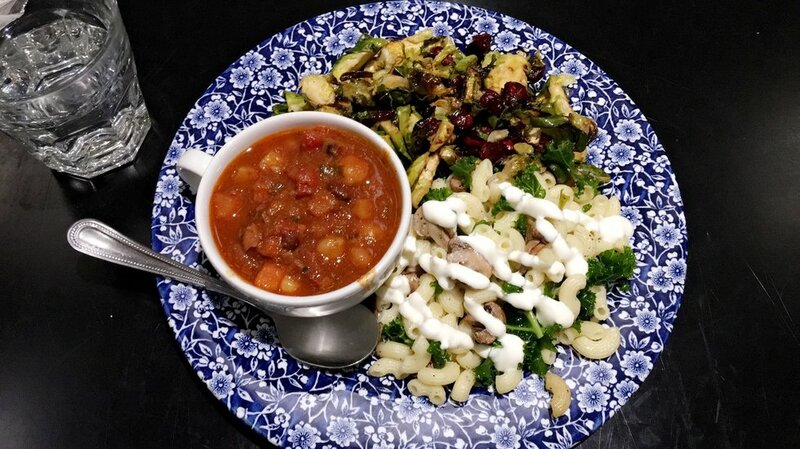 My favorite part about Public Greens is the ability to mix and match up to three different entrees to customize one to fit your taste. They then come to your table, serving their food on adorable and eclectic plates and delivering your drinks in unique mugs and cups. In the warmer months, they also offer outdoor seating where you are kept warm by a modern-looking fireplace. 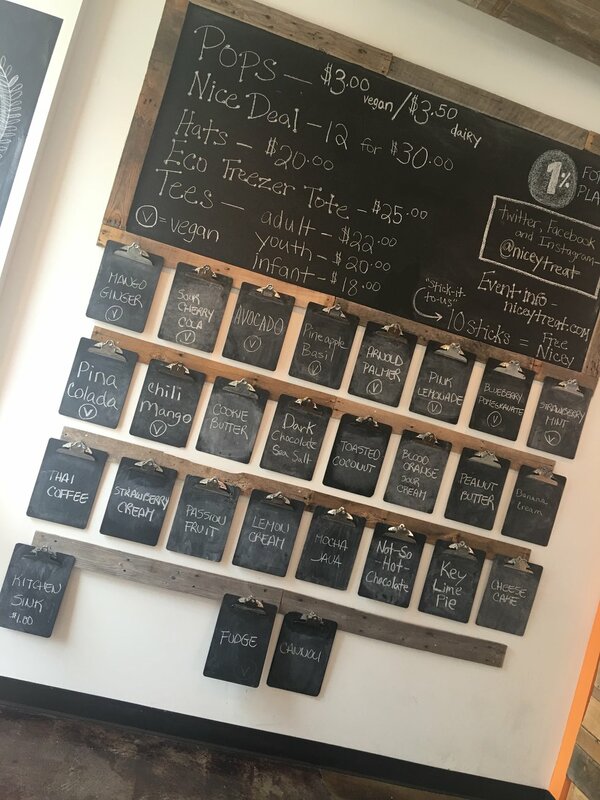 Though eating healthy in college can be hard, I would encourage all students reading this to take the time to explore your college-town for some hidden gems like these. Not only does it allow you to explore your new home but can be a great way to have fun while eating healthy. Sometimes, you just need a break from that Atherton pizza.